and the space in my username confused the command. To fix the issue, I took a stab in the dark (there is no online help on DFInit), and ran it from a command line. 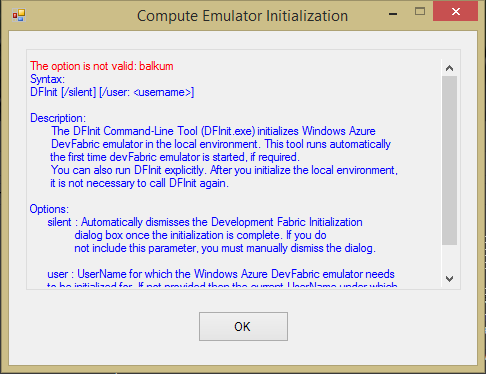 The dialog says /user is optional and will pull my username from the parent process. Worked like a charm.